One of the first steps in the recruiting process is for your swimmer to register with the NCAA or NAIA Eligibility Clearinghouse. The function of the “Initial-Eligibility Clearinghouse is to determine the initial eligibility of a Prospective Student-Athlete (PSA) by reviewing a combination of his completed high school curriculum and college entrance examination scores. NCAA Divisions I and II require clearance from the NCAA Initial-Eligibility Clearinghouse prior to participation and NAIA has their own online eligibility center. Neither NCAA Division III nor the NJCAA require the PSA to register. The NCAA encourages students interested in competing at Division I or Division II schools to register during their sophomore year. Athletes bound for NAIA schools must register with that organization’s eligibility center by their senior year. A PSA can register through the respective online eligibility centers by visiting the clearinghouse web site at www.ncaaclearinghouse.net or www.playnaia.org. From there, click on “Prospective Student-Athletes,” then “Domestic Student Release Form” and follow the prompts. It is recommended that the athlete allow 45 minutes to register completely although it is possible to save and exit then complete the information at another time. The athlete will need to provide a valid email address to create an account (make sure it is an email address that will be active after he graduates from high school). This email address must be unique for each PSA so use a different address if there are siblings that have previously registered. Your swimmer needs to check this email address frequently in order to respond to information regarding the account. This section includes name, address, date of birth and gender. The PSA will need to enter the name and location of the high school he currently attends. If your swimmer has attended more than one school (including summer school) during grades nine, 10, 11 or 12, he will need to list those schools as well. Be sure to include ALL schools, regardless of whether he received grades or credits. He must also include information about courses he may have taken through other programs, such as an online school or credit recovery program for a class he did not pass or took to improve a grade. In the “My Sport” section, your child will select swimming and reply to any questions about any teams outside high school, such as club teams, and events he has participated in during his high school career. The league is usually “USA Swimming” and Division is “senior” unless your swimmer participates in a different type of club team. The question about signing any documents with the team refers to professional type agreements, such as being paid or receiving items of value. The account will be eligible for processing once the registration fee has been paid by debit, credit or e-check (or submission of a fee waiver if eligible). The registration fee is $75 for students in the United States. All fees are nonrefundable once registration is completed. The Eligibility Center needs an official transcript from ALL high school(s) or program(s) attended. Each school district is different in the method used to request transcripts so your swimmer should check with his guidance counselor if he is unsure. Most high schools now have the capability to upload transcripts directly to a student’s account from the High School Portal which is the quickest method. The NCAA Eligibility Center does not accept faxed or emailed transcripts. Every time your swimmer registers for the SAT or ACT, use the NCAA Eligibility Center code of 9999 to ensure the scores are sent directly to the NCAA Eligibility Center from the testing agency. The code for prospective NAIA student-athletes is 9876. Test scores on transcripts will NOT be used for academic certification. An ACT sum score is calculated by adding the English, math, reading and science subscores. A combined SAT score is calculated by adding the critical reading and math subscores. A PSA may take the SAT or ACT an unlimited number of times before enrolling full time in college and the eligibility centers will take the best subscore from different tests to calculate the best possible score. 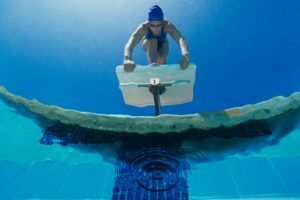 When your swimmer registers with the NCAA or NAIA Eligibility Center, he will be asked a series of questions about his sports participation to determine his amateur status. More than 90 percent of student-athletes who register are automatically certified. In some instances, the Eligibility Center staff may need to gather additional information to evaluate amateur status. Delaying full-time college enrollment to play in organized sports competitions. 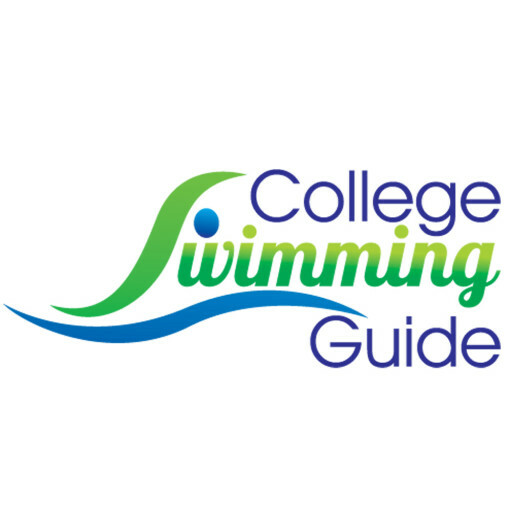 Both sites have resources to assist your swimmer as he prepares to apply to colleges. The NCAA eligibility center includes a list of core courses which must be completed in high school. Users on the NAIA site can connect directly with college coaches. Remember that registering with the NCAA and NAIA eligibility centers doesn’t take the place of applying to college. Students must follow all requirements for submitting applications, test scores, transcripts, and other documents for each school they want to apply to. Michelle Lombana is committed to helping parents like herself whose children want to swim in college. When she’s not preparing spreadsheets of conference championship swim times, she can be found at www.collegeswimmingguide.com.